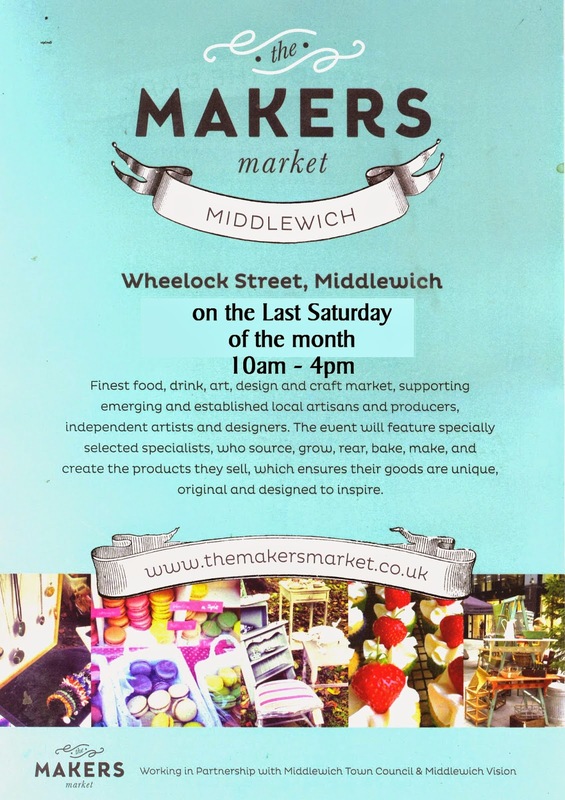 Now firmly established as a monthly fixture in Middlewich, the Makers Market, following on from the pioneering Artisan Market, gets more popular as each month goes by. 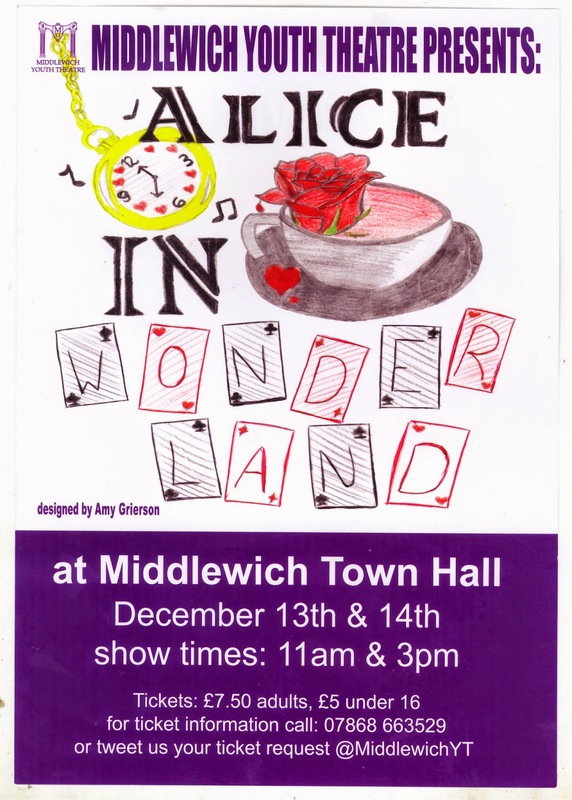 With the introduction of monthly markets in Middlewich the Town Council quickly saw the potential for revitalising trade and drawing people together to make each market a Middlewich occasion. 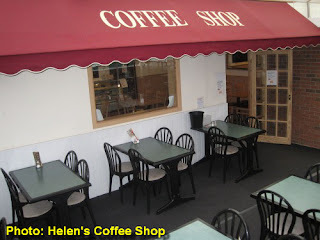 Wheelock Street traders also realised that the markets were a great opportunity to promote their own businesses and show people what the town can offer, not just on one day a month, but during the rest of the month too. 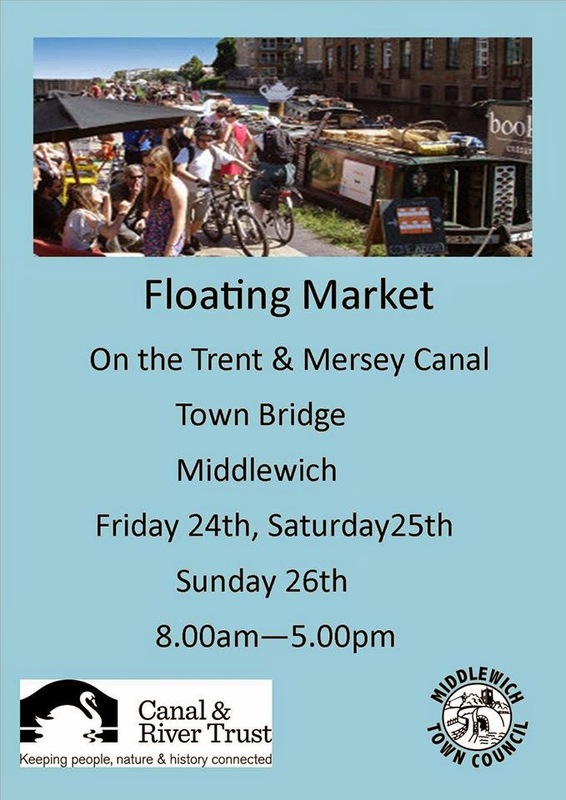 The advent of the Makers Market has meant that the Council and Middlewich Vision have been able to work together with market organisers to promote the market both locally and further afield as a part of the regeneration of the town. 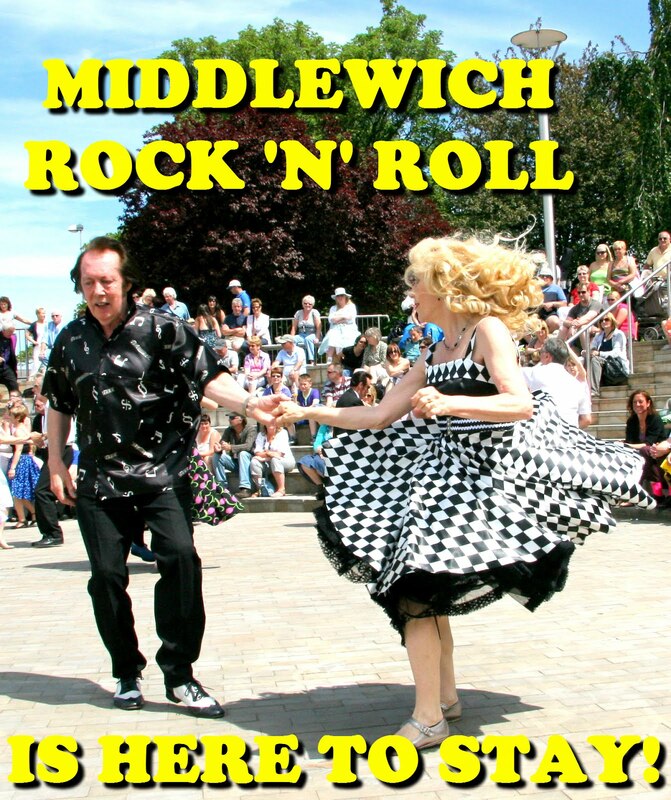 Crucially, the organisers have realised the importance of integrating the market's activities with other events happening in Middlewich and have enlisted the aid of local organisations such as the Middlewich Rose Fete and schools and youth groups in the town to make these monthly markets unmissable. The Makers Market takes place on the last Saturday of every month in Wheelock Street. 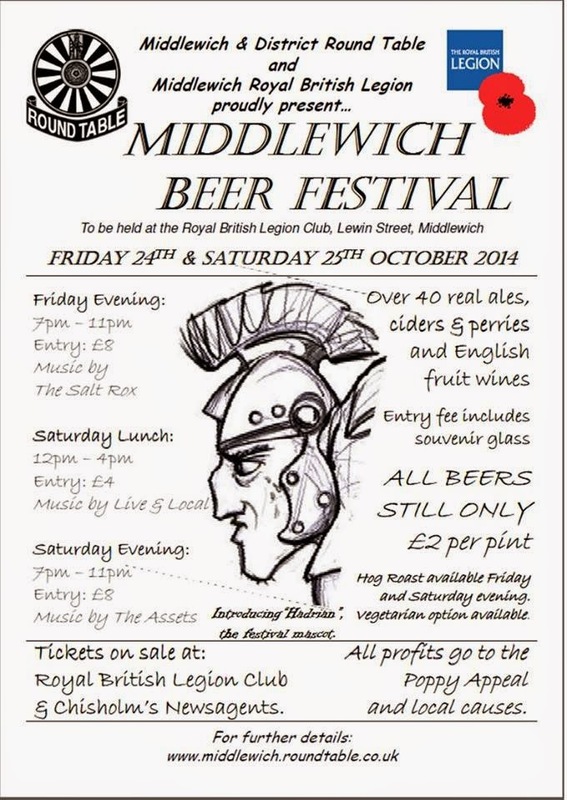 We will also be collecting donations for the Middlewich food bank, and matching all donations £ for £ once valued by the food bank. 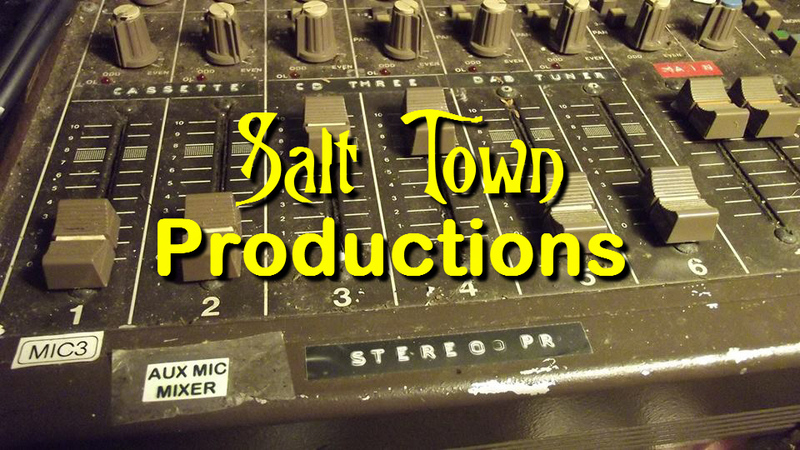 Here's your chance to influence what happens in our town over the next 30 - 40 years. 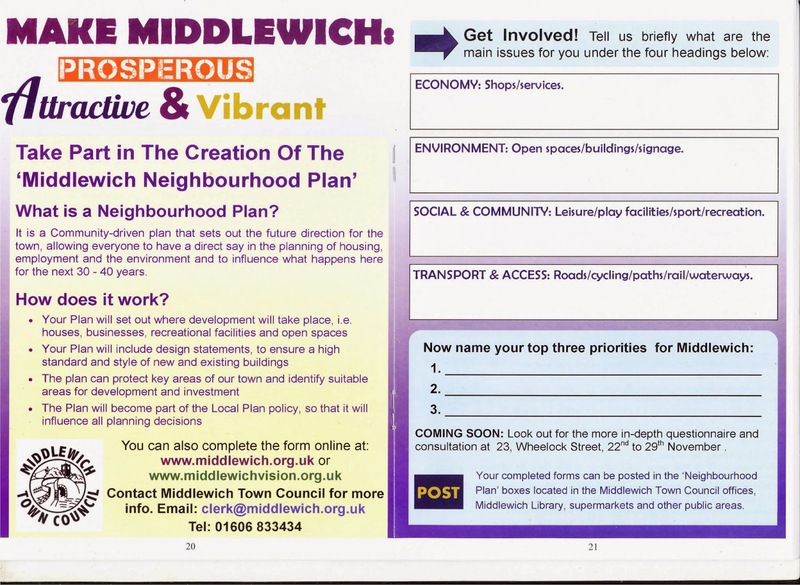 The Town Council and Middlewich Vision are creating the Middlewich Neighbourhood Plan which will play a vital role in making sure that Middlewich people have a real say in planning decisions affecting the town. 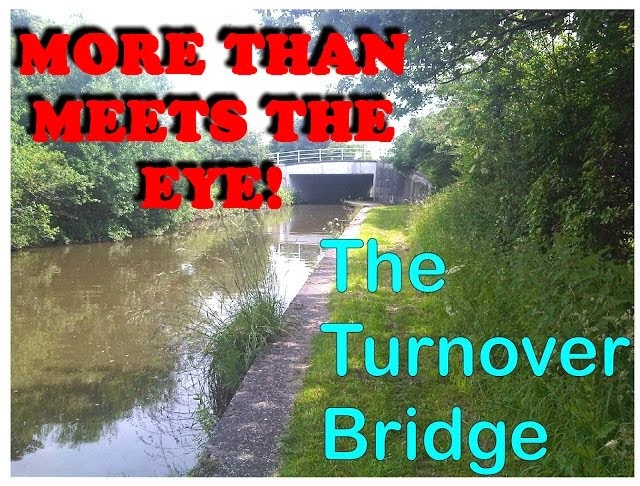 This is not just another in a seemingly endless series of questionnaires asking us what we think about the town, and what we would like to see happen here, it is something which will make a real difference, because the Neighbourhood Plan, once it is finalised and adopted, will become a part of the wider Local Plan, which Cheshire East is currently putting together to make sure that planning, particularly of new housing development, is carried out properly and fairly. Or you can fill in the form (shown at the top of this page) in the Dec/Jan GO LOCAL magazine. 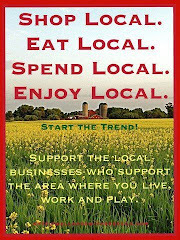 If you haven't got a copy of GO LOCAL, please feel free to download the form from this page. [right-click the form and click on 'save image as' (or equivalent)]. 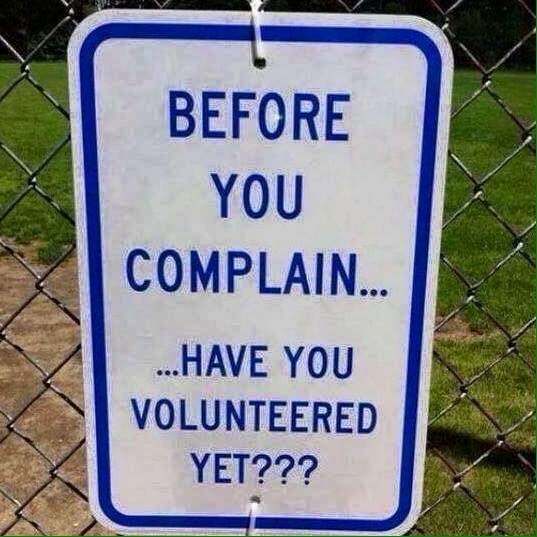 This is what you've been waiting for: your chance to make a REAL difference! 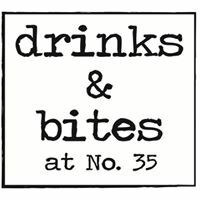 SEE ALSO: GO LOCAL LATEST EDITION OUT NOW!!! 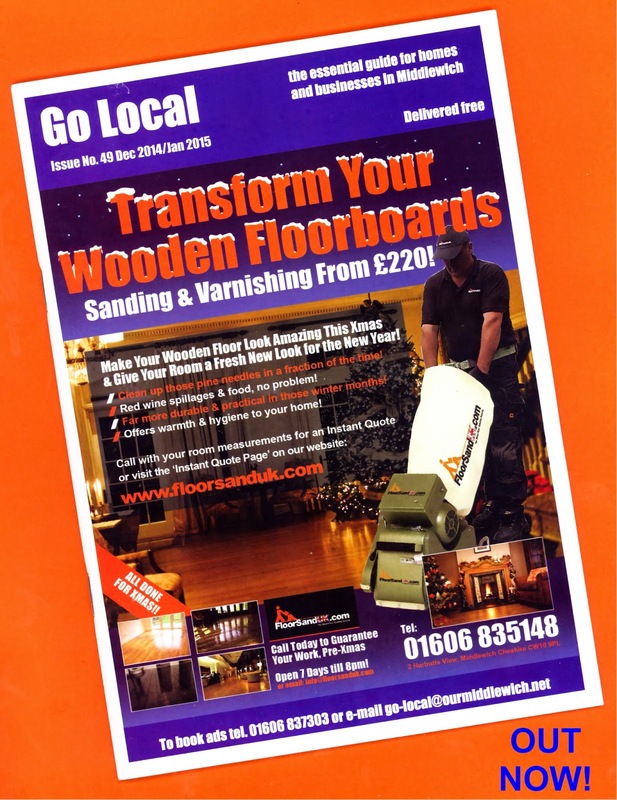 The latest edition of the popular GO LOCAL MAGAZINE, covering December 2014 and January 2015 is out now.As well as the usual valuable community information and What's On listings there are full details of Christmas Church Services in the town, Christmas and New Year opening times for the Oakland Doctors' Surgery and an interesting article about New Year celebrations throughout the world. 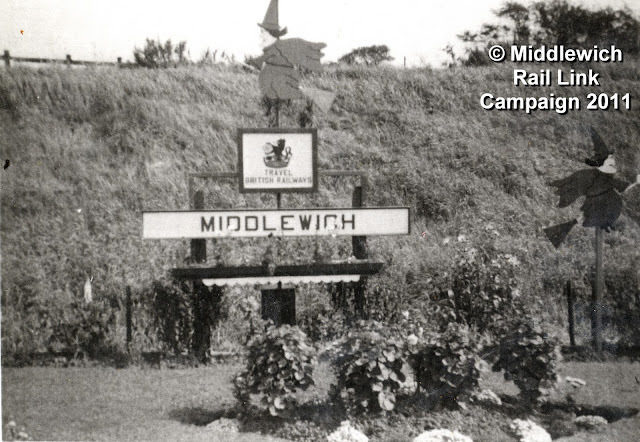 In a fascinating article about the town's heritage, Julie Elizabeth Smalley asks us to consider Middlewich's place in the world and, in particular, in Cheshire. 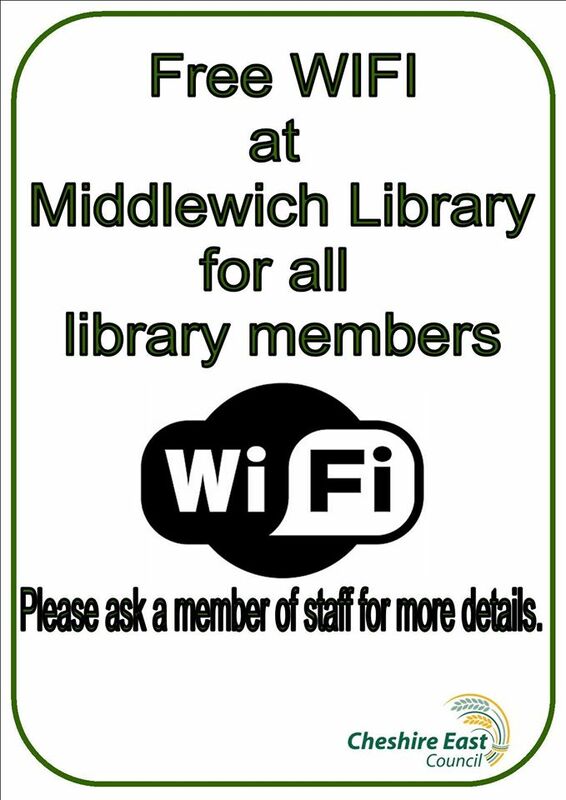 Julie asks if there are any other places in the world which bear the name 'Middlewich'. 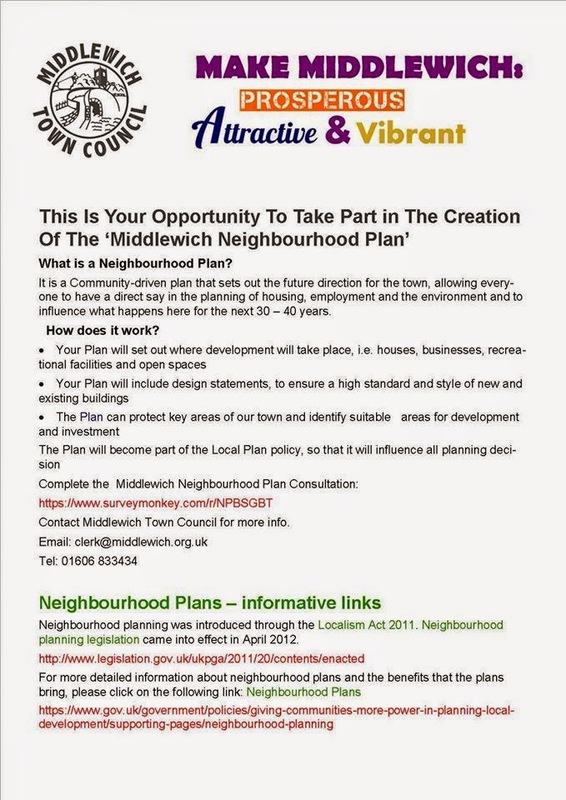 our town - the Middlewich Neighbourhood Plan'. 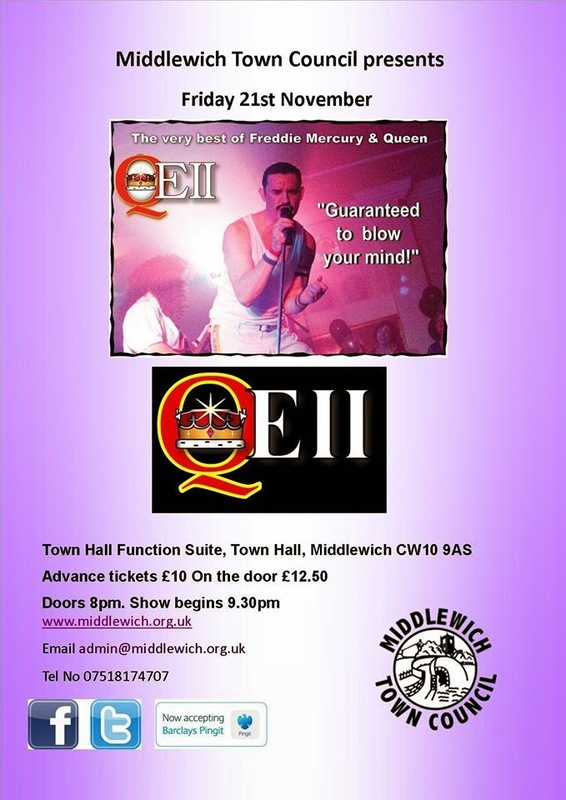 Middlewich Town Council are presenting a series of concerts featuring popular tribute bands at the Town Hall in October, November and December. UPDATE (OCTOBER 25th): The THEM BEATLES concert originally planned for October 17th has now been postponed until a later date. 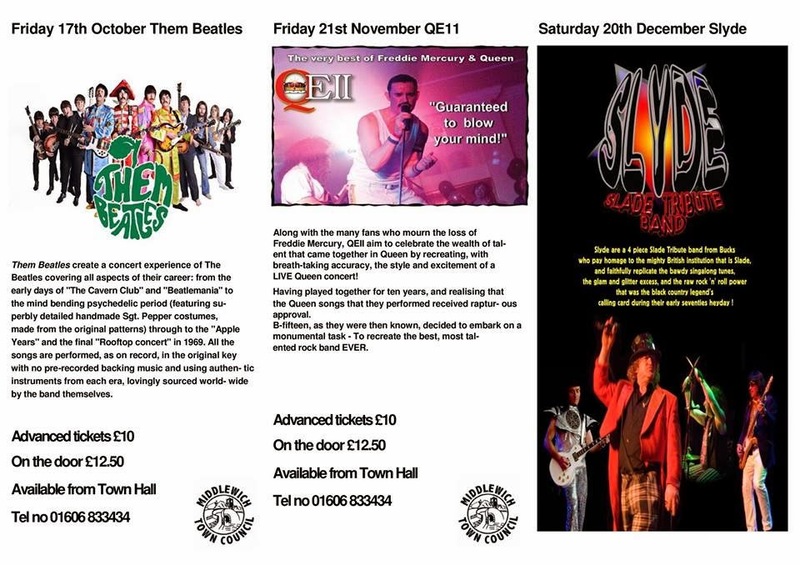 The QEII and SLYDE concerts are, however, going ahead as planned. 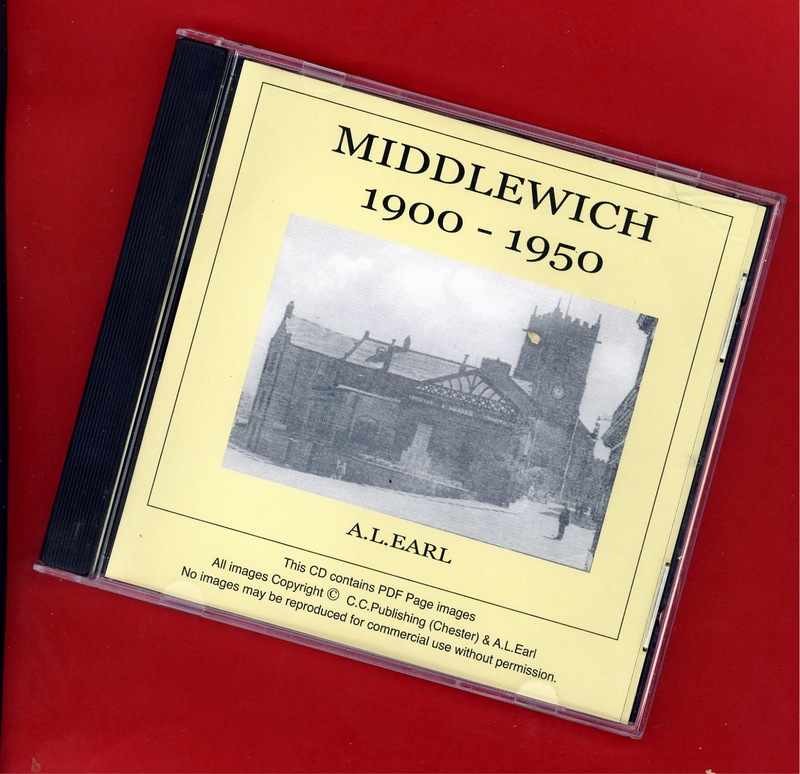 We were delighted to see that Allan Earl's definitive history of Middlewich in the first half of the last century has now been re-published in CD form. 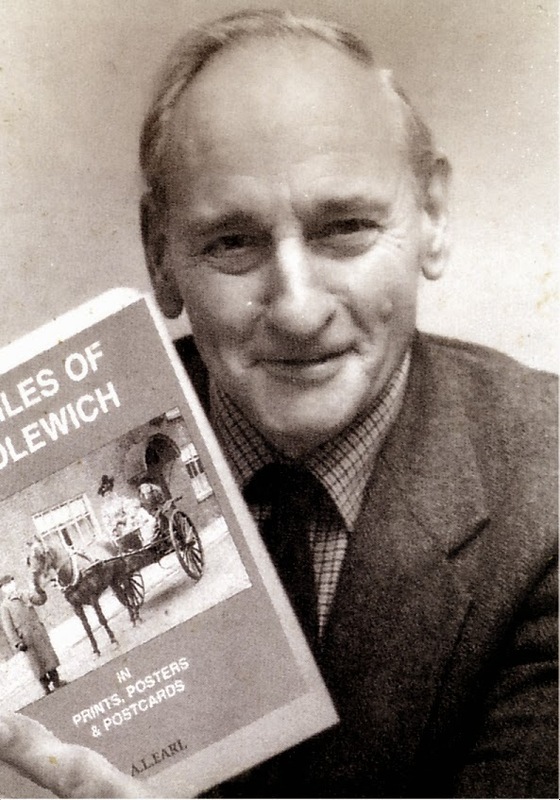 Allan kindly sent us a copy of the CD version of Middlewich 1900-1950 as a 'thank you' for helping to publicise his books on The Middlewich Diary. 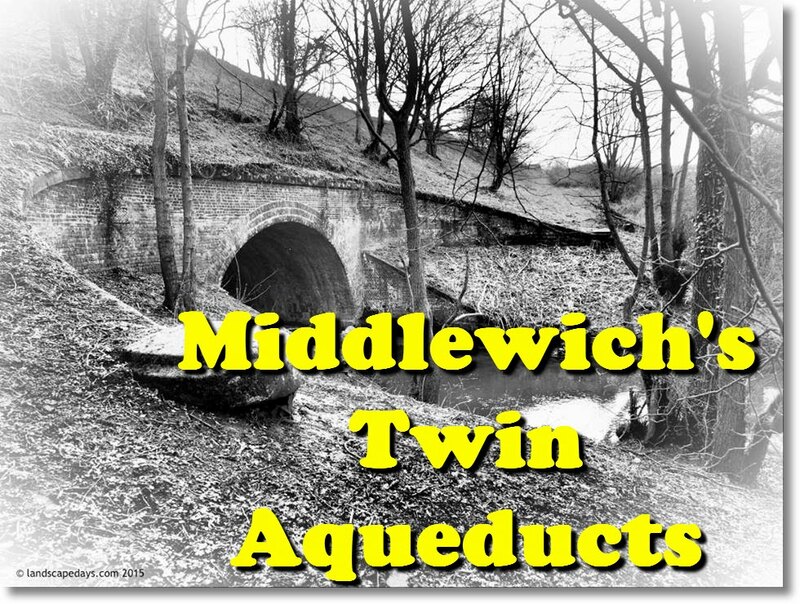 He writes, 'From the number of requests for copies of Middlewich 1900-1950 it would appear to be the most popular of my literary efforts, closely followed by Profiles of Middlewich' (see below). 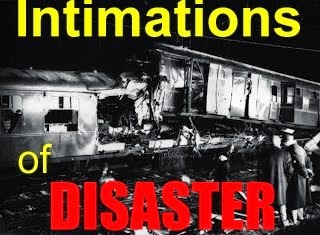 Plans to re-publish the book in its original form had to be abandoned as the cost would have been prohibitive, so the decision was taken to convert the pages into PDF files and publish the volume in CD form. 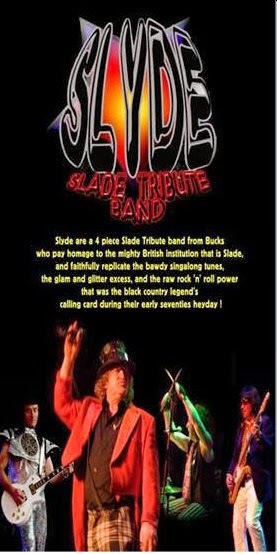 The CD is now available priced at a very reasonable £10. 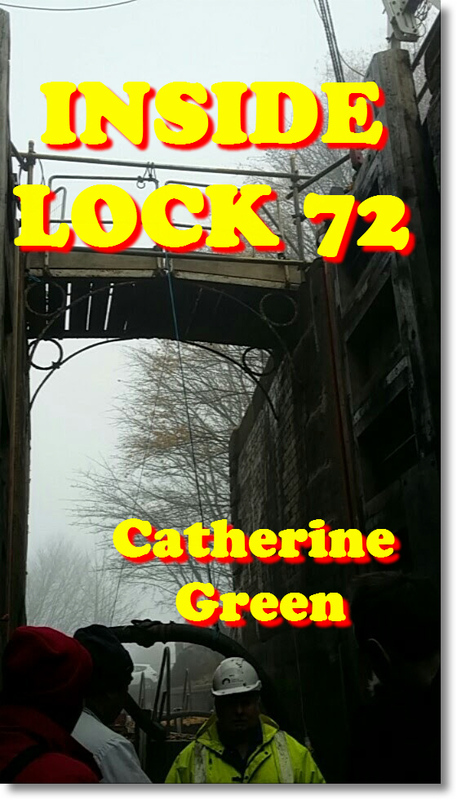 If you're interested in buying a copy let us know and we'll be pleased to put you in touch with Allan. 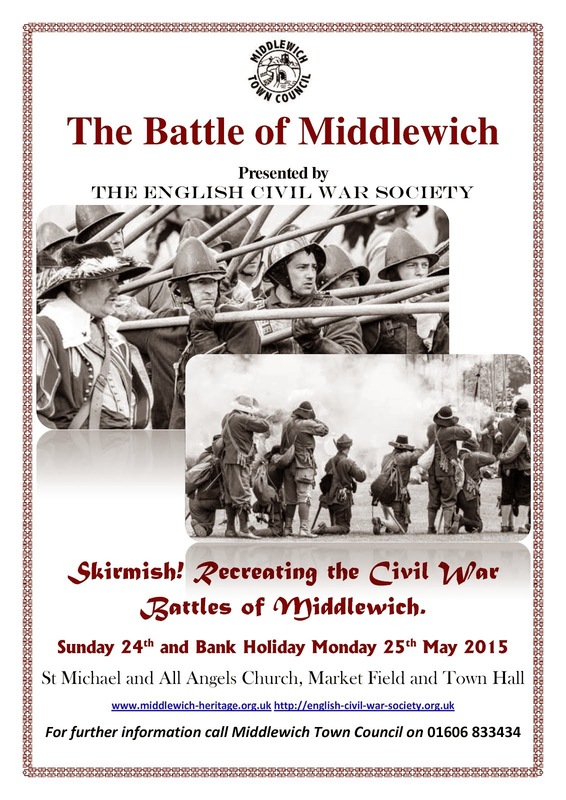 as are many other books and CDs of interest to those interested in the history of Cheshire. 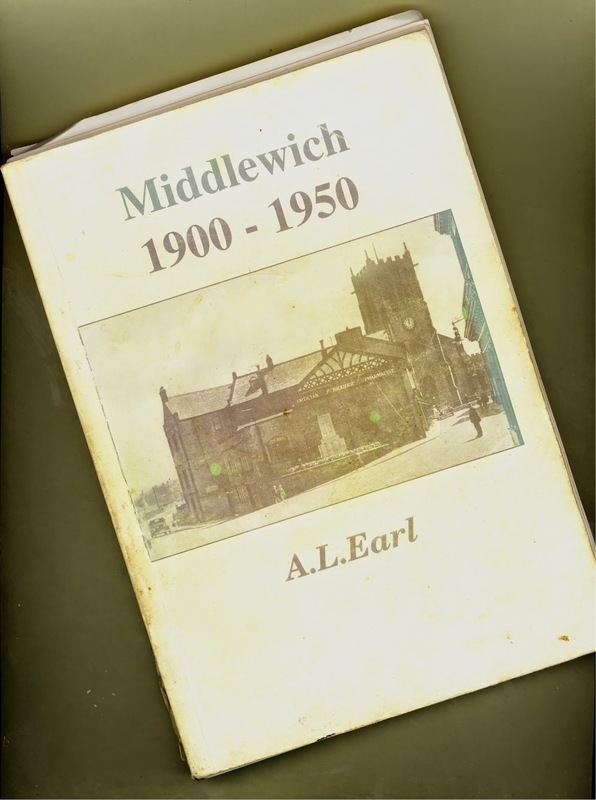 Above is our own, well-thumbed copy of the original Middlewich 1900-1950, the standard reference book on the history of the town during that period. 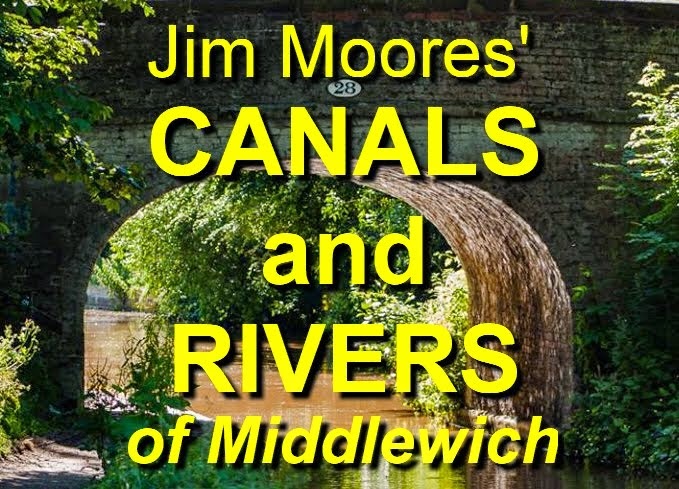 The book starts with Victorian Middlewich, taking in the Boer War and the Coronation of Edward VII and chronicles the development of the town's schools and public works during a time of progress. 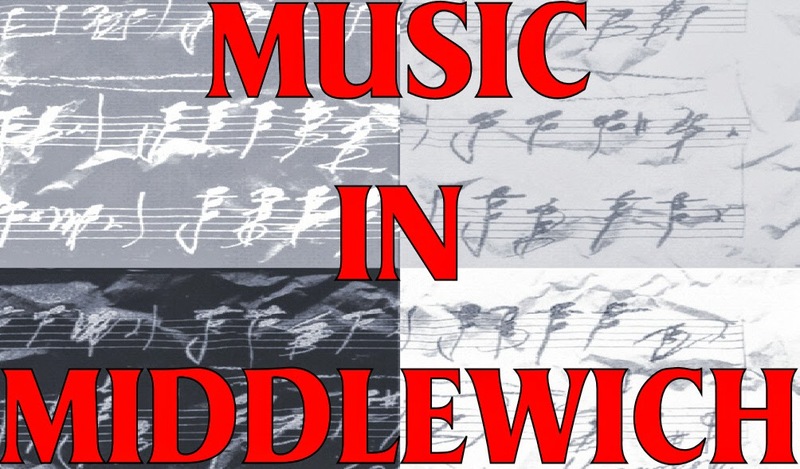 Chapter two profiles many notable Middlewich persons, including William Boosey, Joe Smallwood, the Rev. John Fortnum and, of course, Charles Frederick Lawrence who did so much to chronicle Middlewich history in the late Victorian era. 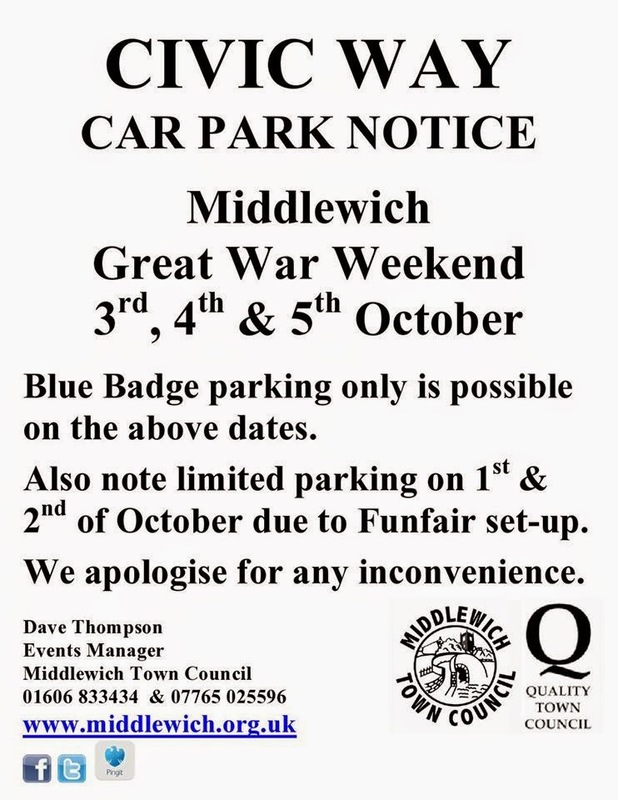 Chapter three takes us through the period of The Great War and contains the full Roll Of Honour for Middlewich. 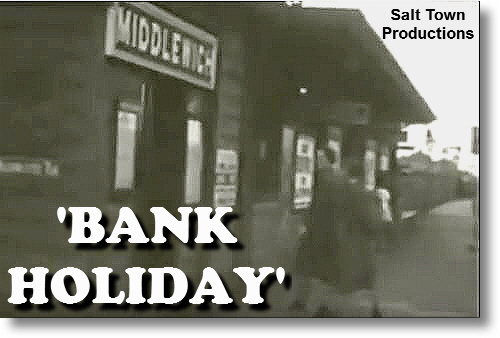 Later chapters chronicle the unemployment and industrial unrest of the 1920s and the start of wholesale demolition, road-widening and redevelopment in the 1930s which gave us the basic layout of the town which is still recognisable today. 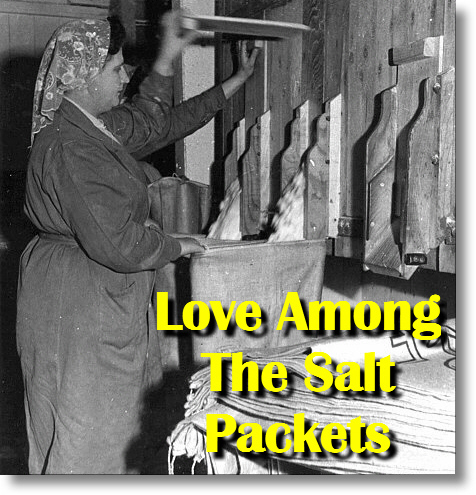 The second world war is, of course, covered in detail as is the development of the salt industry by the likes of Henry and Ralph Seddon, Richard Yeoman, L.A. Simpson and G.L. 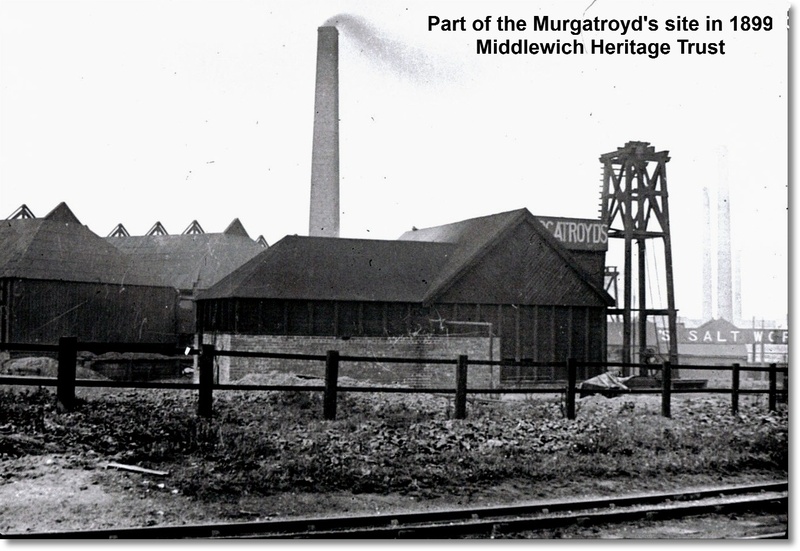 Murgatroyd which paved the way for today's modern vacuum salt plant, keeping Middlewich at the forefront of salt manufacturing in Britain. 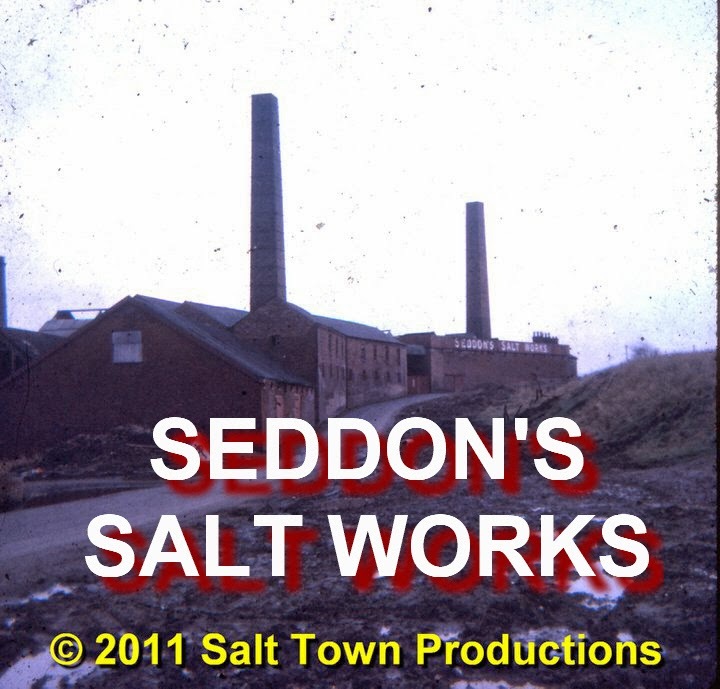 There are numerous photographs and illustrations from Allan's own collection and a fold-out map of the town in 1909 with a key indicating salt works (working and disused) and other buildings and landmarks in the town. The sister volume to Middlewich 1900-1950, published in 1990 and covering the period from the Anglo-Saxons to the Victorians. 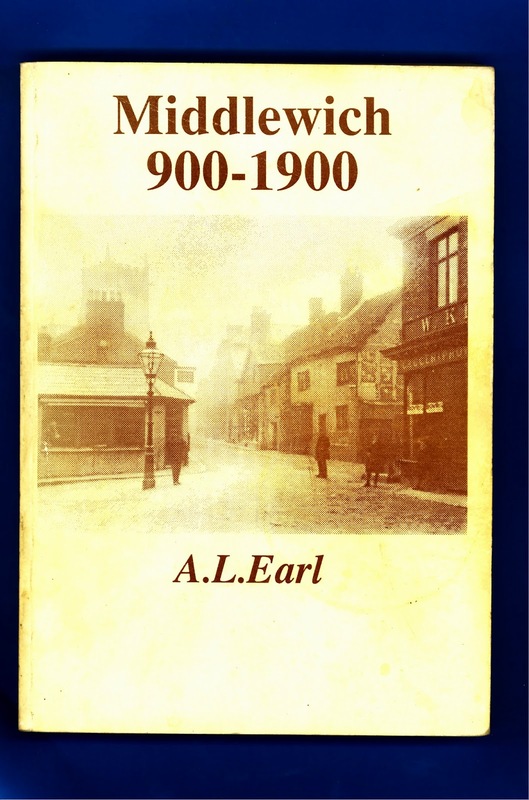 The book contains many photographs and illustrations and a fold-out map of the town in 1898 with a key to the important places in the town at that time. A large format (A4) book featuring over a hundred rare photographs, prints, posters and postcards from Allan's own collection. 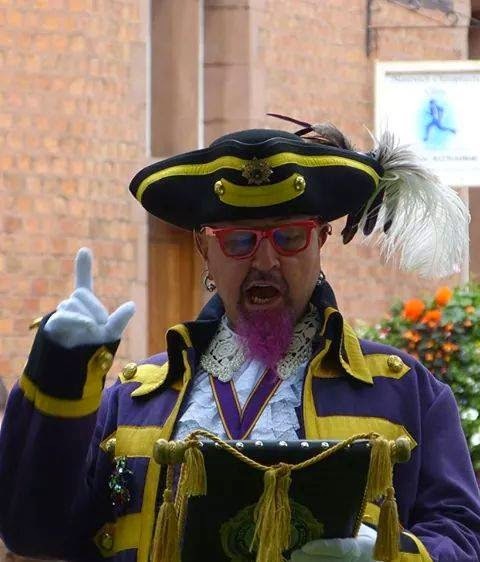 Born and bred in Middlewich, Allan is President of Middlewich Heritage Society and a member of the Record Society of Lancashire and Cheshire. 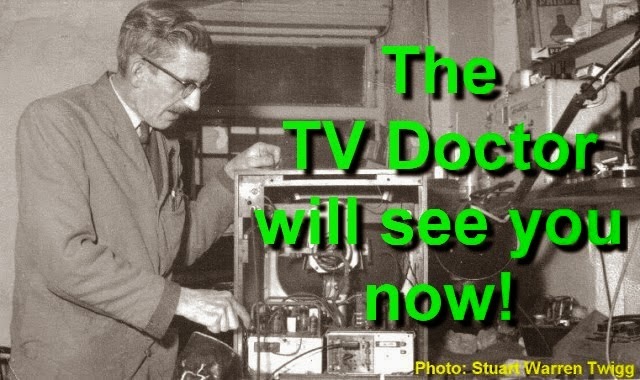 Allan is renowned for his talks on Middlewich and district, as well as his broadcasts on local radio. 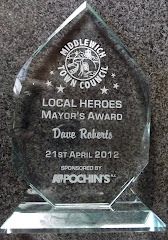 His interest in local history stems from his time as a local government officer (Middlewich U.D.C.) 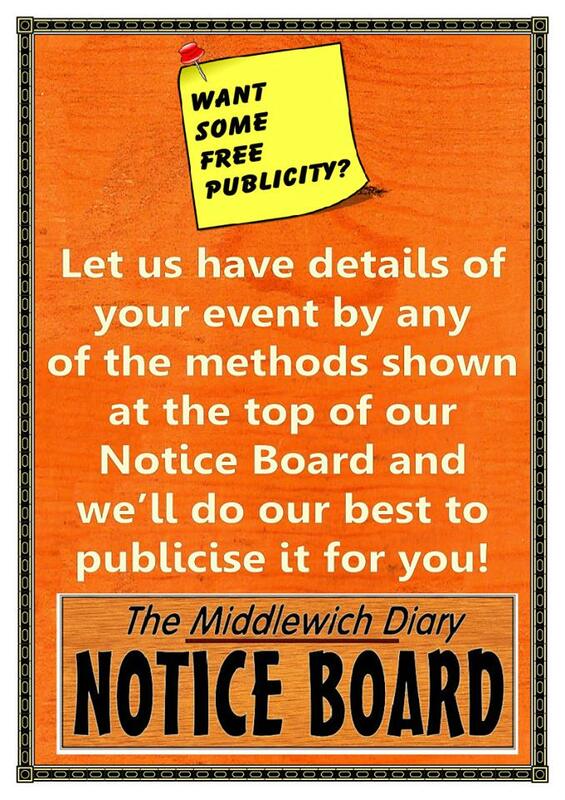 and over the years he has amassed an outstanding collection of Middlewich illustrations, ephemera and memorabilia. 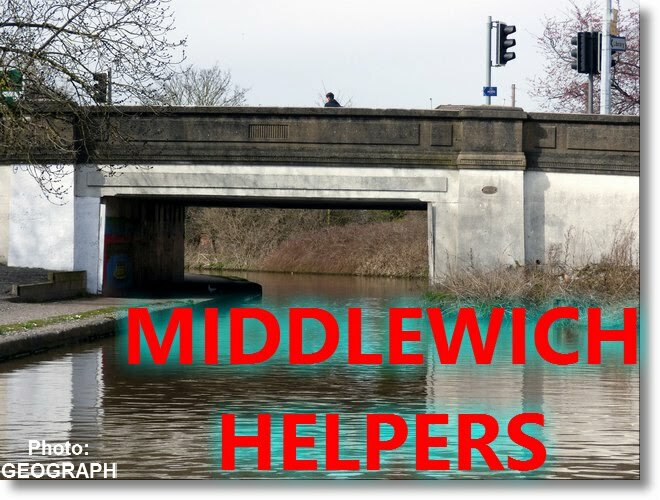 A time once again for quiet reflection in this eventful Centenary year as the people of Middlewich come together in the middle of the town to remember the fallen. 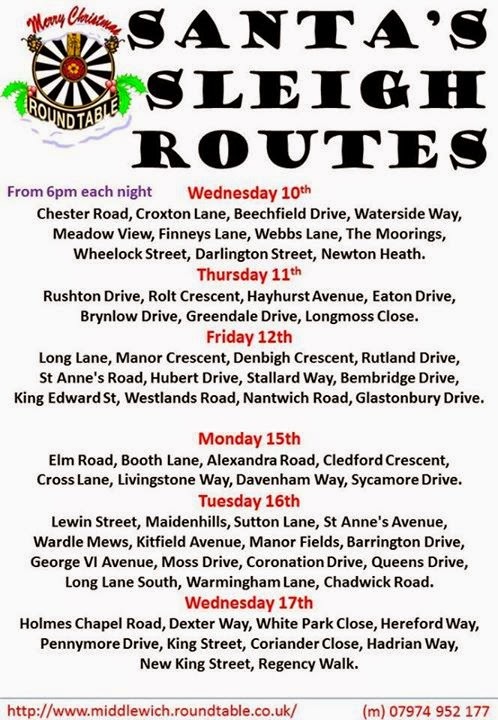 The procession leaves the Royal British legion Club in Lewin Street at 10.30am, and those taking part are asked to be at the Club before 10.20. 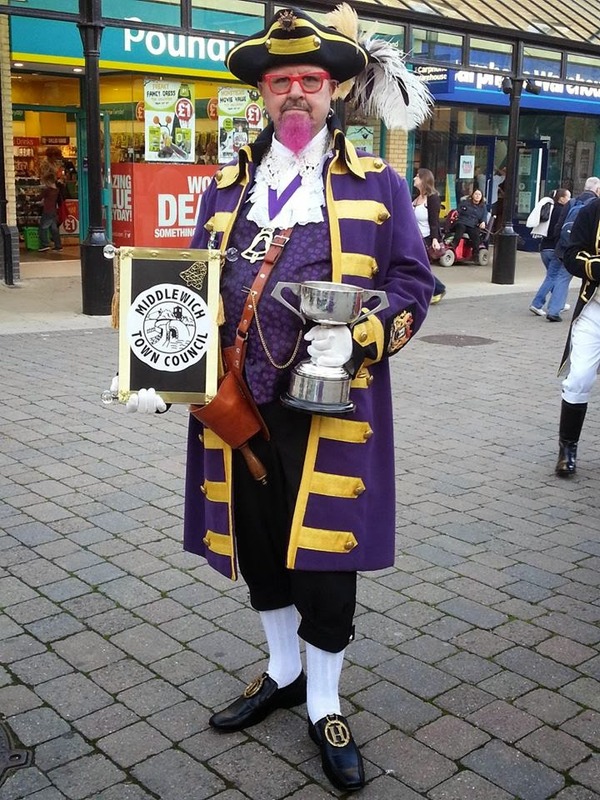 When Devlin Hobson offered to become Middlewich's Town Crier in the summer of 2014 he promised to put Middlewich on the map and he more than lived up to his promise by winning the National Town Crier competition in Hastings on October 18th 2014. Our congratulations and thanks to Devlin and his wife Jenny for doing us proud! 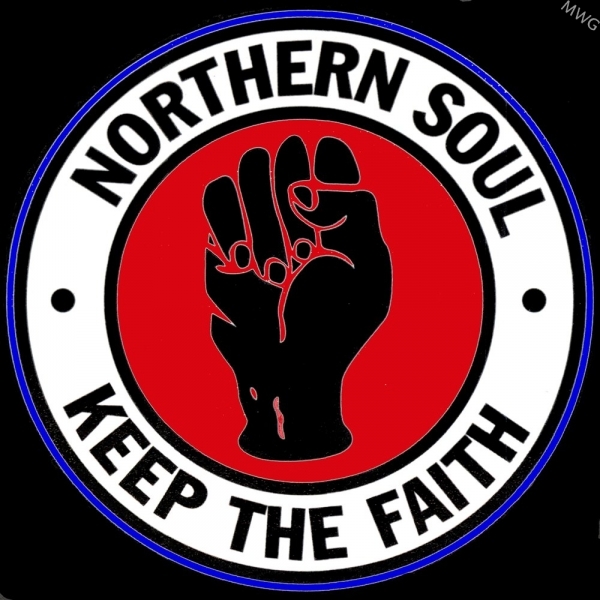 MANY THANKS FOR ALL YOUR SUPPORT! 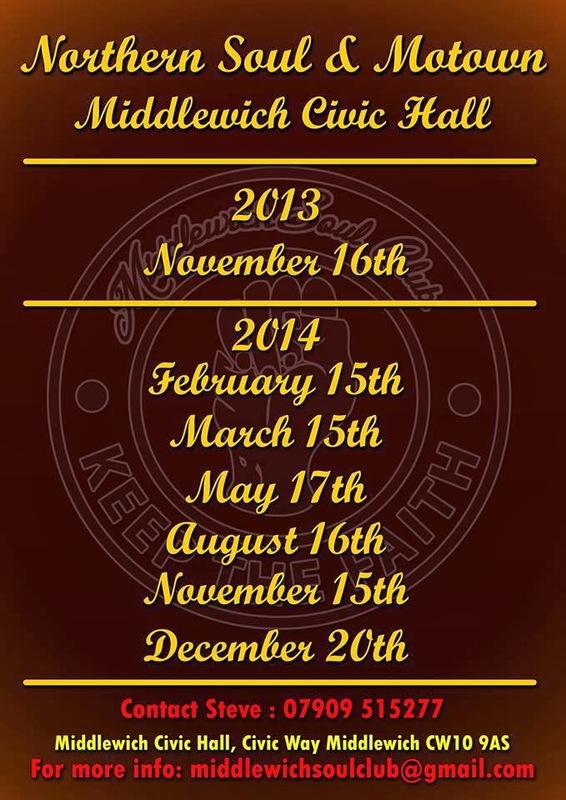 A GREAT PLACE TO LIVE WITH THE BEST EVENTS! 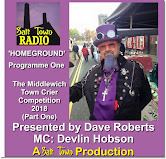 Exactly one week later on October 25th Devlin was a little closer to home in Biddulph representing Middlewich in that town's Town Crier competition. And once again he won! Sonya Edwards People don't know what they missed. I haven't laughed like that for a long time. A very good evening. 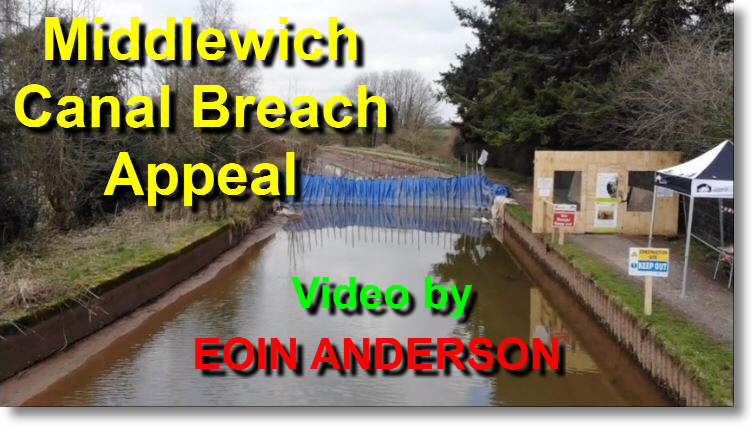 When people say that nothing happens in Middlewich, they must be walking around with their eyes shut! 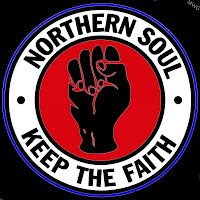 Roll on the weekend for more entertainment! Val Prince Two twelve-year old boys had a great evening too! They loved the magic tricks at the table. 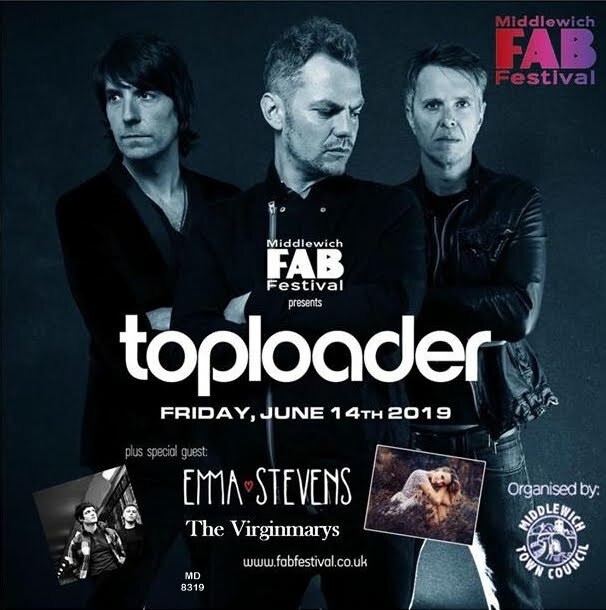 A brilliant night! 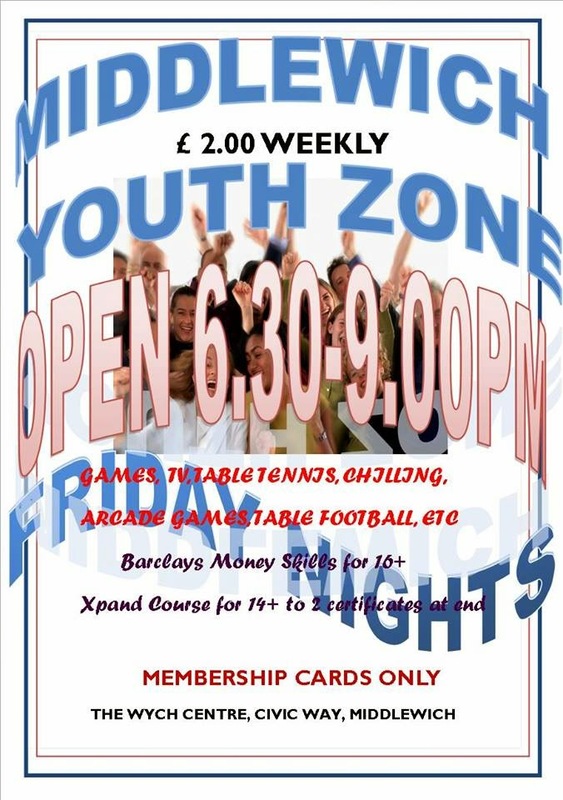 Cllr Bernice Walmsley I agree - great evening! I find that when friends from other towns visit they are all amazed at how much goes on in our little town, and the variety too. 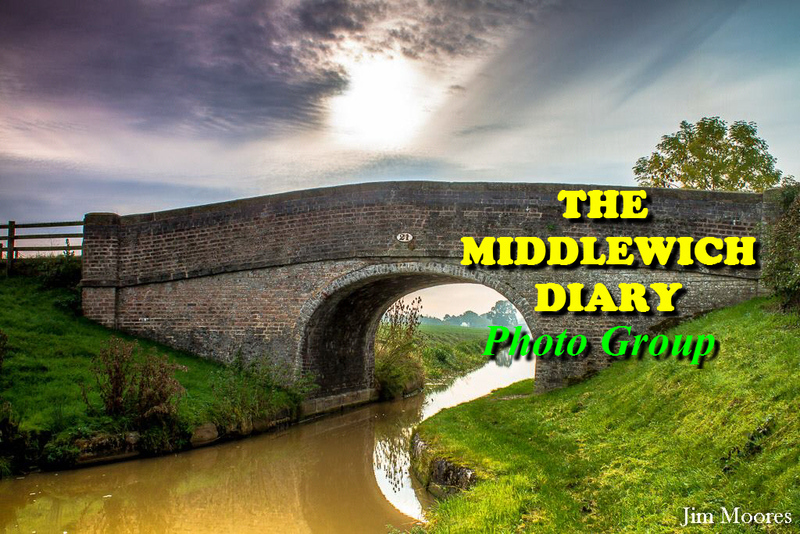 Paul Greenwood has been out with his camera to capture some aspects of the present day Middlewich scene for posterity, for the very good reason that some parts of it are, by all accounts, due to disappear soon. 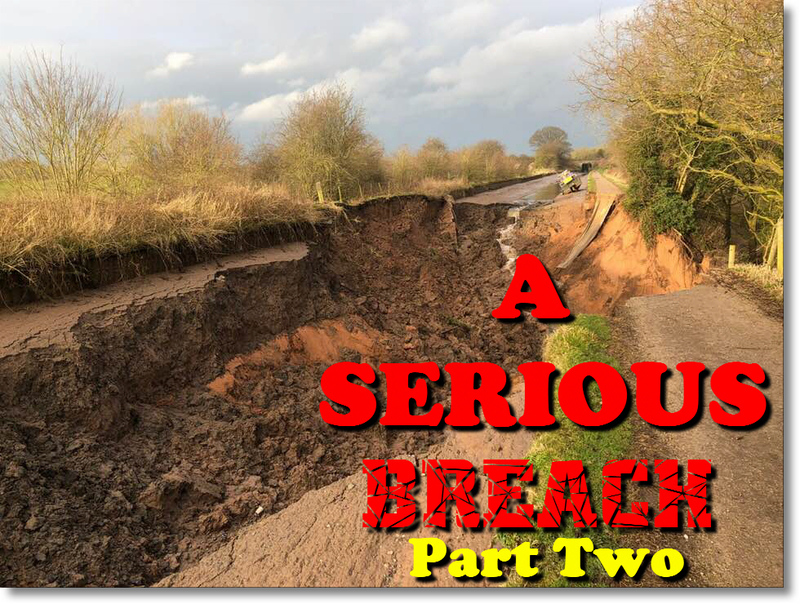 We're saying 'by all account﻿s' because it appears that matters are by no means settled. This picture shows Chester Road as it was in mid-January 2012, with Boosey's Garden Centre and Middlewich Autos in what should be their last few weeks before demolition to make way for a new Morrison's supermarket. According to the local press work should begin on this in March, so it should naturally follow that the removal of these buildings is imminent. However, other sources are saying that Morrison's, despite having obtained planning permission for their new store, are 'not yet committed' to building it (see 'UPDATE', below). 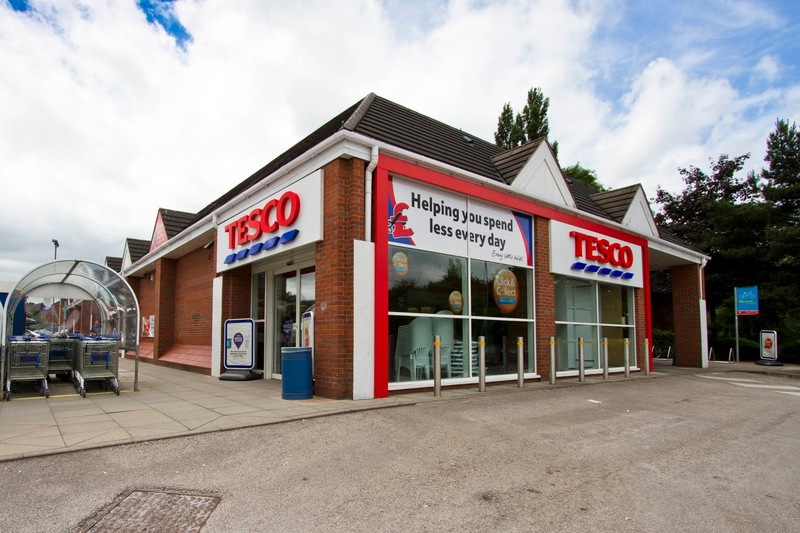 The theory is that uncertainty over plans by Tesco to rebuild, and greatly enlarge, their premises in Southway are causing Morrison's to delay a decision on actually going ahead with their plans. Can a town of this size support two major supermarkets? If they're both built, will people travel here from out of town to shop? What will be the effect of these developments on the shops in Wheelock Street? Opinion is divided on this. Some say that two large supermarkets (or even one greatly enlarged one) will kill off trade in the main street. Others, on the other hand, are saying that the increased number of shoppers in the town will give a boost to Wheelock Street trade, as people will stay in town and buy all the things they can't buy in the supermarkets from the Wheelock Street shops. 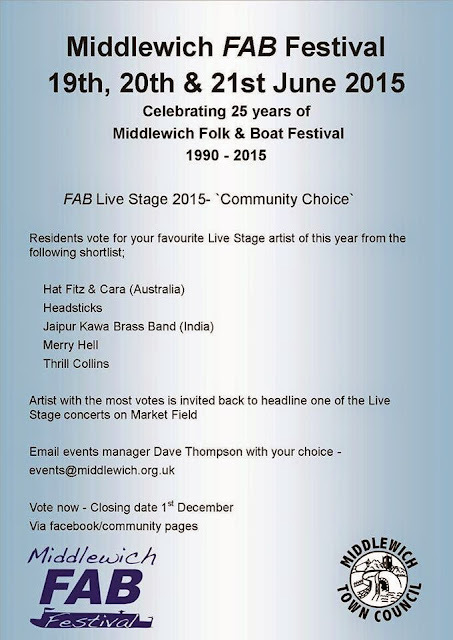 Whatever happens, this may be a momentous year for Middlewich and large parts of the town may change forever. Which is why, to return to the real point of this Middlewich Diary entry, Paul has gone out and about to record the 2012 Middlewich scene. 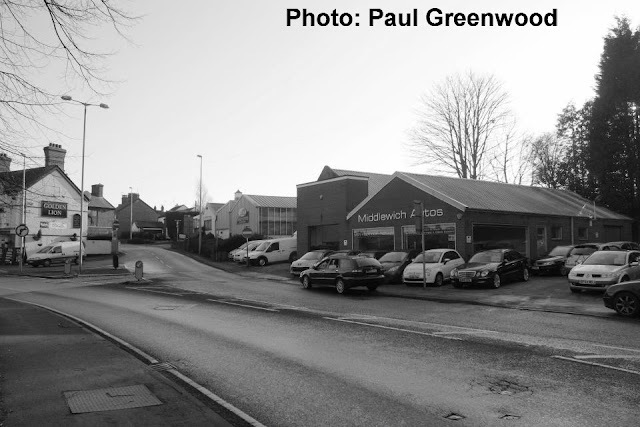 Middlewich Autos has been in business in Chester Road for over thirty years, replacing a firm with the pleasing name of Middlewich Motors (shame they couldn't keep the name). 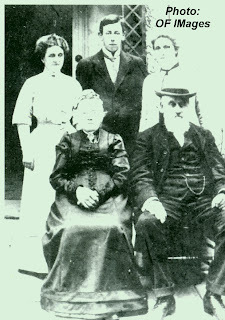 Boosey's Nurseries, of course, is much older and pre-dates even the arrival of the Boosey family in Middlewich in the mid-nineteenth century. William Boosey was an Essex gardener who came here in the late 1850s and took over an existing nursery business. According to Allan Earl in Middlewich 1900-1950 (Cheshire Country Publishing 1994) Boosey leased land in Holmes Chapel Road, Webbs Lane and Pepper Street as well as in Chester Road and Holmes Chapel. So that great profusion of trees along the river, which I had assumed to be a fairly recent phenomenon, is actually much older than I thought, and now we know why it's there. 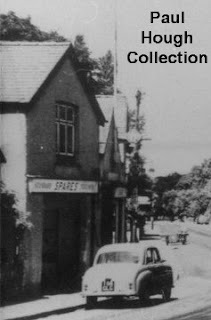 Right up until the 1950s and 1960s Boosey's nurseries owned a lot of land in the Nantwich Road area, where Glastonbury Drive and associated developments now lie. The extent of the nurseries even in those days can be appreciated when you consider that the driveway which runs alongside the fine old Victorian house just where Nantwich Road makes a sharp bend to run down towards the aqueduct, once led into the nursery fields. 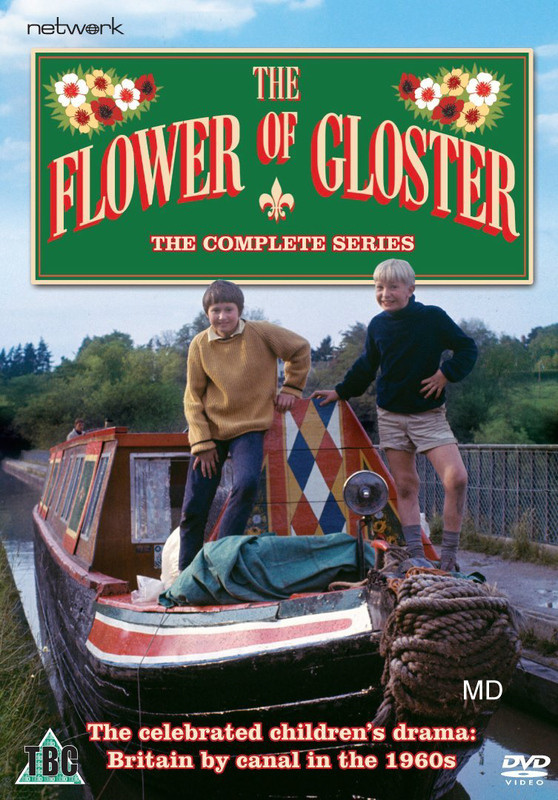 And if you stand in the car park of the present day Boosey's premises (while you still have the chance) and look in the direction of Glastonbury Drive you can imagine how things used to be, with many acres of land given over to the cultivation of all kinds of flowers, plants, trees and shrubs. 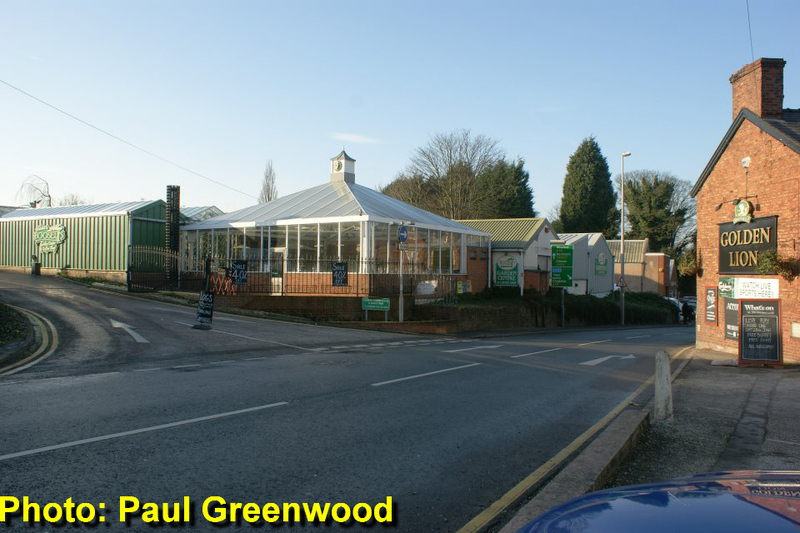 The change of name from Boosey's Nurseries to Boosey's Garden Centre gives an indication of how the business has changed. Boosey's Garden Centre would probably never win any architectural awards, but the buildings are attractive enough and it is an amenity which will be greatly missed when, as seems likely, it disappears (sooner or later) from the Middlewich scene. 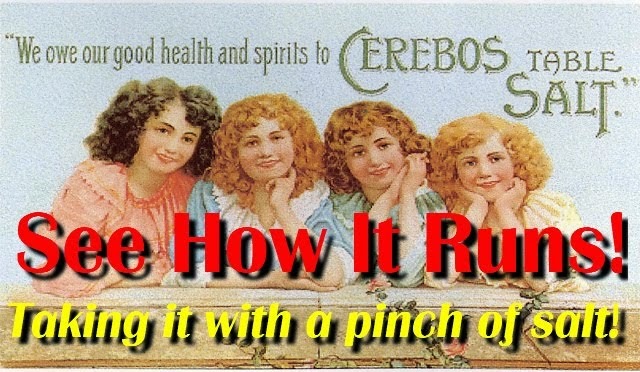 Our advice is to enjoy it while you can. Many thanks to Paul Greenwood for the photographs. 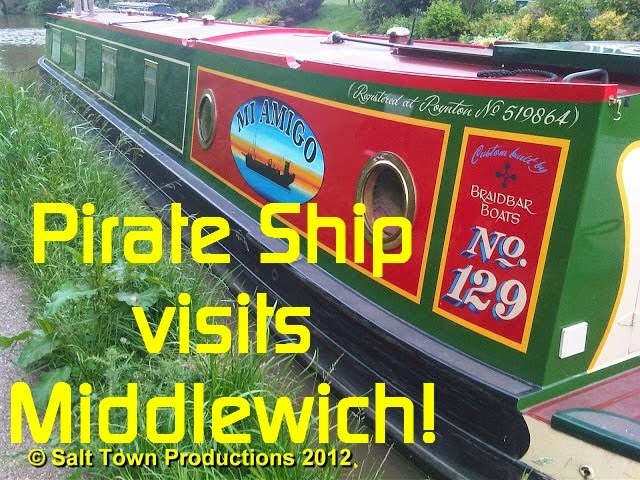 Will he be able to return in January 2013 and take more photographs of Boosey's and Middlewich Autos? 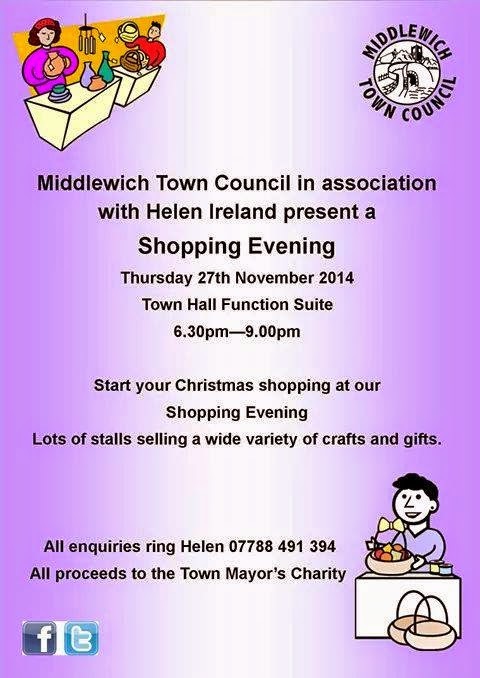 Or will a new era for shopping in Middlewich, for better or worse, have begun by then? 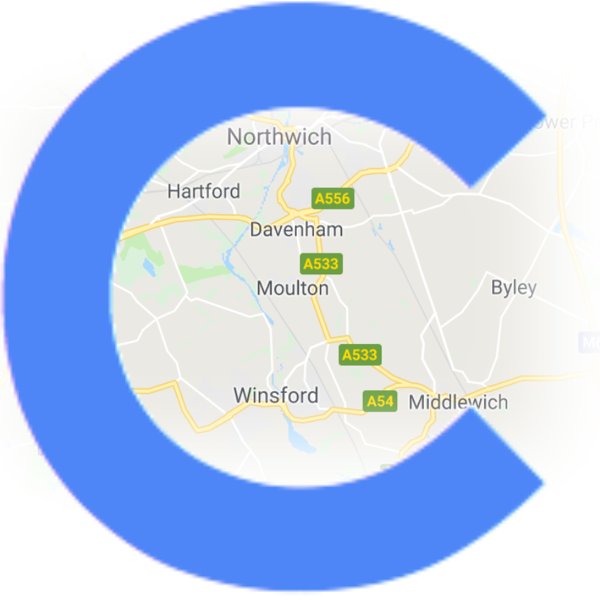 UPDATE: At the end of February 2012 it was announced that Morrisons' planned to start work on the site in May, and were still aiming to be open for business at Christmas 2012. 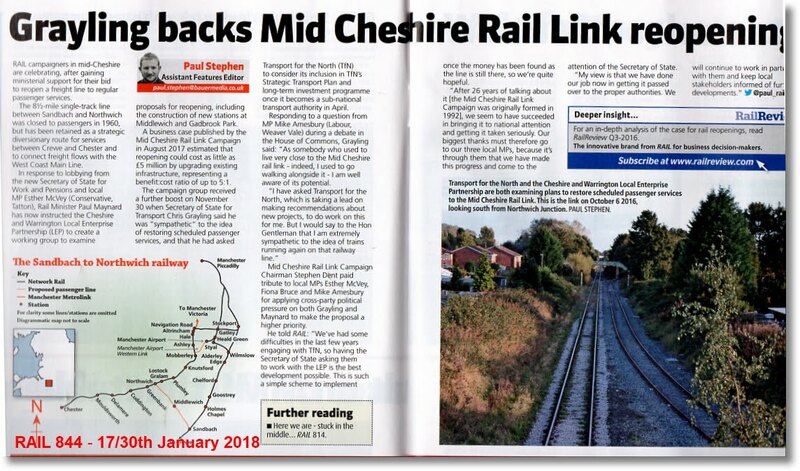 Meanwhile Tesco's original plans were also expected to be passed by Cheshire East's planning department on the 29th February. Andrew Tomlinson with living in Croxton Lane for many years and being friendly with the Morrises I have many memories of this site. I will have to sit down and thumb through some old photos to see what I can find/remember. 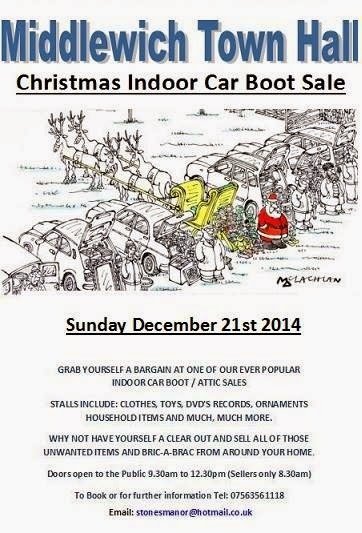 I do remember the garage being a petrol; station as well as car sales/repairs - owned and run by Bob Williams? 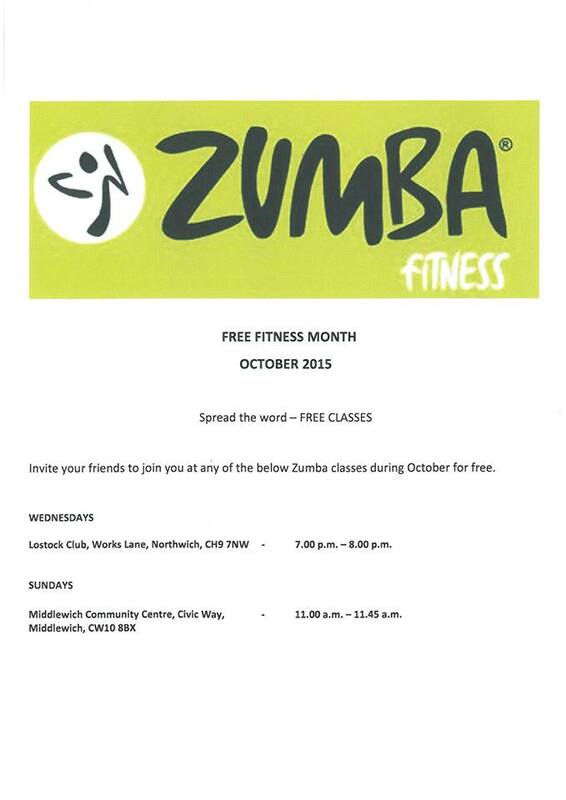 Re-published 25th September 2014 following the receipt of the comment below telling us that Boosey's Nurseries lives on not too far away in Antrobus.